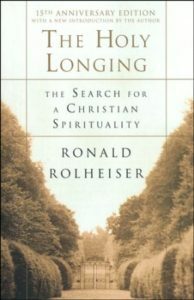 In The Holy Longing, Ronald Rolheiser probes the question “What is spirituality?”, cutting through the misunderstanding and confusion that can often surround this subject with his trademark clarity. Using examples and stories relevant for today, and with great sensitivity to modern challenges to religious faith, he explains the essentials of spiritual life, including the importance of community worship, the imperatives surrounding social action, and the centrality of the Incarnation, to outline a Christian spirituality that reflects the yearning and search for meaning at the core of the human experience. Essential reading for anyone seeking to understand what Christian spirituality means and how to apply it to their own lives, The Holy Longing translates the universal struggle for love and integration of spirit into a language accessible to all, explaining God and the Church for a world that more often than not doubts the credibility of both.